Do you love Alexandrine Parakeets ? Then this design is made for you! This is our totally cute Birdorable version of the Alexandrine Parakeet, also known as the Alexandrine Parrot. 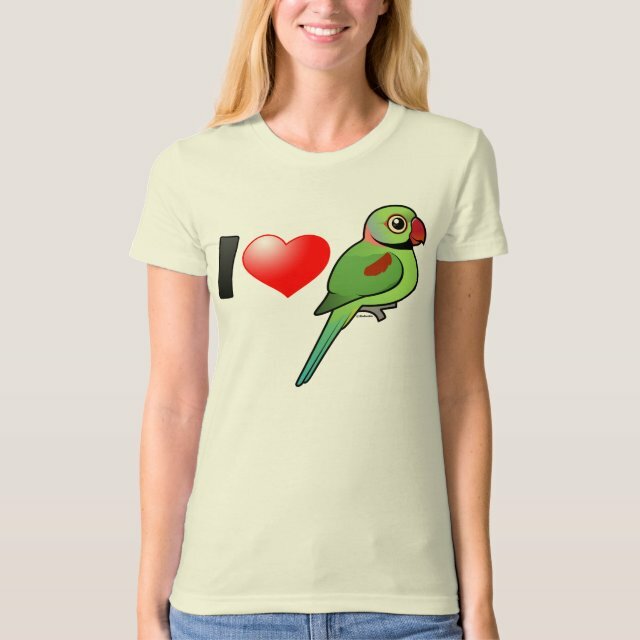 The design reads I Love Alexandrine Parakeets, using cute cartoon icons. You can customize this gift! Move the design elements around, change the background color or style, add text or images -- make it your own! Back to basics never looked better. This best-selling women's tee by American Apparel is a versatile must-have for every lady's wardrobe. Wear it to work or play, or dress it up with a blazer or more... sweater and wear it out to dinner. Super soft and lightweight. Select a design from our marketplace or customize it and unleash your creativity!